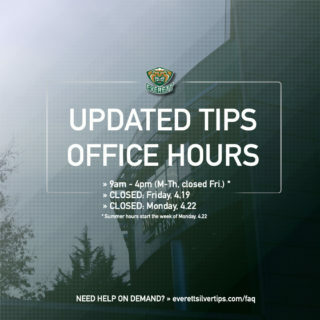 EVERETT, Wash. – The Everett Silvertips, in association with the Western Hockey League, announced today that the 2016 CIBC Canada Russia Series, featuring Silvertips defenseman Noah Juulsen and goaltender Carter Hart, will be seen live on NHL Network for back-to-back games, Monday and Tuesday, Nov. 7-8 at 7:00 p.m. PT. 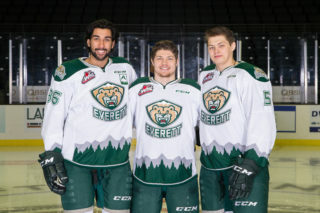 This season marks the second straight year Juulsen (Silvertips and Team WHL captain) joins Hart on Team WHL in the series, an essential phase in identifying the final roster for Hockey Canada at the upcoming IIHL World Junior Championship. Canada was represented at last year’s World Junior in Finland by 21 CHL players who competed in this series in 2015, while 13 members of Team Russia’s series entry also competed in Helsinki earning a second straight silver medal. Team WHL will face Team Russia in Game 1 of the Series in Prince George, B.C., on Monday, November 7, before continuing on to Edmonton, Alta., for Game 2 on Tuesday, November 8. The Ontario Hockey League will host Games 3 and 4, while the Quebec Major Junior Hockey League will welcome the festivities surrounding Games 5 and 6. 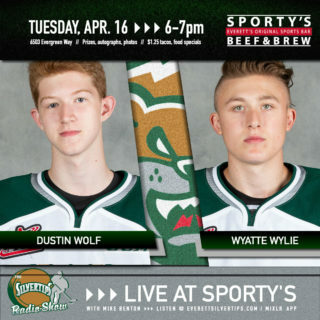 Drafted in the first round, 26th overall, of the 2015 NHL Entry Draft by the Montreal Canadiens, the 19-year-old serves as captain of the Silvertips and ranks tied for third among league defensemen in goals (5) while compiling 11 points in 12 games to start the 2016-17 WHL season. The product of Abbotsford, B.C. previously skated for Team WHL during the 2015 edition of the event, managing one goal and a plus-3 rating in two games. In 203 career WHL regular season games, the 6-foot-3, 190-pound blueliner has collected 101 points (23g-78a). Juulsen was named to the WHL (West) All-Star Second Team last season as he gathered in 28 points (7g-21a) in 63 games with the Silvertips, additionally posting a pair of assists in six playoff games. He skated in the CHL/NHL Top Prospects Game in 2015, the same year he was selected by Montreal in the draft. Hart, the first goaltender selected in last summer’s NHL Entry Draft, second round (48th overall) by the Philadelphia Flyers, leads the WHL with a 1.89 goals-against-average, and is tied for third in save percentage (.926) while totaling a 9-2-1-0 record and one shutout in 13 appearances in his third season as a Silvertip after capturing the Vaughn Canadian Hockey League and Western Hockey League Goaltender of the Year (Del Wilson Memorial Trophy) awards last season. 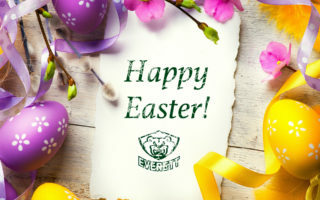 The 6-foot-2, 180-pound goaltender was named Silvertips Most Valuable Player last season, earning a WHL best 35 wins and was second in goals against average (2.14), tied for second in shutouts (6), and second in minutes (3,693), en route to a 35-23-1-3 record and First Team All-Star selection in the Western Conference of the WHL. He suited up in the CHL/NHL Prospects Game in Vancouver and before last season earned a gold medal with Team Canada at the 2015 Ivan Hlinka Memorial Cup. 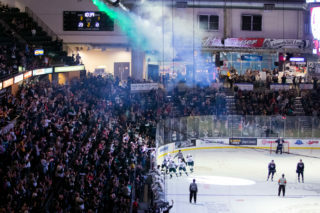 The Silvertips return to play Saturday, hosting the Portland Winterhawks at XFINITY Arena, starting at 7:05 p.m.